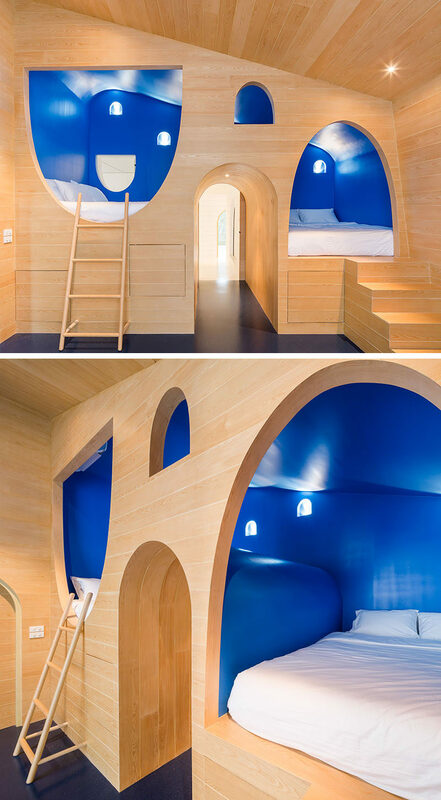 When architecture firm ONION designed the Jerry House in Thailand, they created fun and whimsical beds for the two little boys that live there. 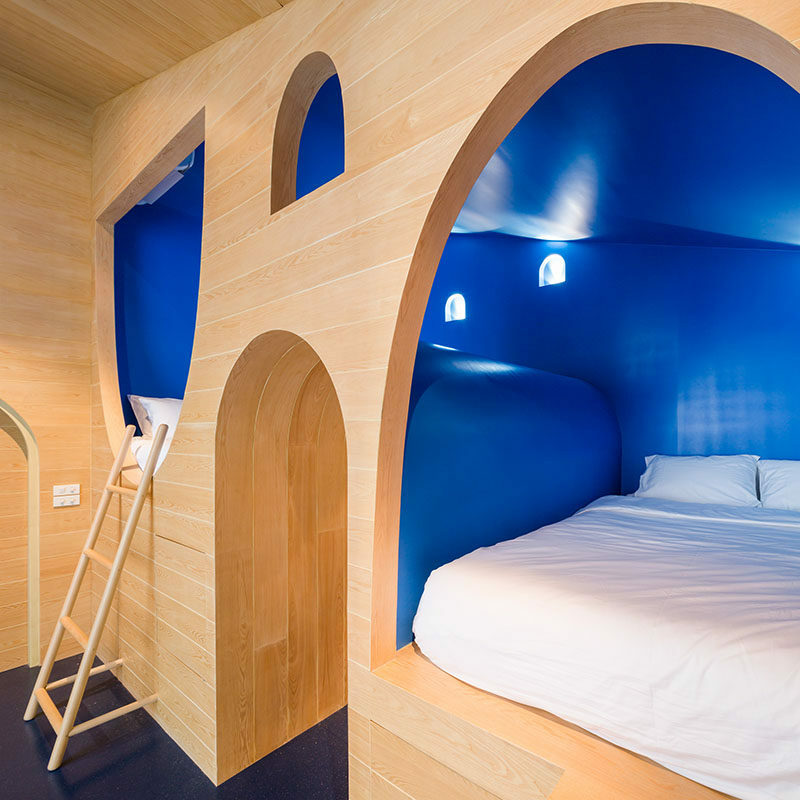 The beds, surrounded by royal blue walls with mock windows, are built into the light wood wall. The first bed is reached via a ladder, while the other can be accessed by walking up a mini staircase. Inside, the two beds are separated by the rooms door allowing for both privacy and playtime. There’s also hidden storage in the wood wall below the beds, eliminating the need for dressers.